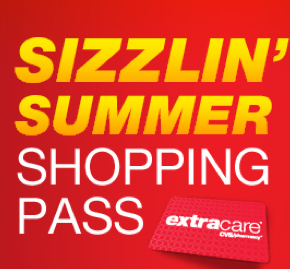 Head over to the CVS Facebook page and “like” them to get an exclusive coupon. The more “likes” they get, the bigger the coupon for everyone. We can get as much as 25% off. If they get up to 480,000 total fans, then everyone who registers for the deal will receive a 20% off shopping pass. If they get up to 530,000 total fans, everyone who registers will receive a 25% off shopping pass. This promotion goes through this Saturday, June 25 at 11:59 pm, and the clock is running! Check out the Special Offers page and register for this exclusive offer. You only need your ExtraCare card number and an email address. Share with friends via Facebook, Twitter, and your blog. Remember, as “Likes” rise, so does your chance of getting a 25% off shopping pass. Make sure to check out the CVS Deals for this week as well as the Hot New Hawaiian Tropic Money Maker Deal.